The following is a list of resources you can use in talking with your State Representatives and/or sharing information with members of your organization or community. Don’t forget to join us on Tuesday, March 19 at the Capitol in Austin, Texas for our Local Foods Citizens Lobbying Day! Want to be Able to Buy Farm-Fresh (Raw) Milk? Help Make Raw Milk Sales Legal at Farmer Markets, Drop Points, and Through Delivery! 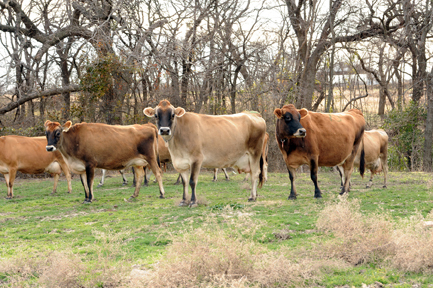 Texans can legally buy raw milk from licensed Texas dairies. But the government requires consumers to drive to the farm – which may be 2 or 3 hours away – to get it. A Texas farmer recently had his license suspended for delivering to a private home. The law burdens consumers, and it penalizes family farmers who are unfairly prevented from marketing their milk. HB 46 would expand legal sales of raw milk by licensed farmers directly to consumers by allowing sales at farmers markets and farm stands, and by allowing farmers and consumers to agree to delivery arrangements. Does only one thing: removes the on-farm restriction on the sale of Grade A raw milk. Would allow licensed farmers to sell raw milk at farmers markets and through delivery arrangements. Does not allow sales of raw milk in grocery stores. Improves the safety of raw milk by allowing producers to transport it to consumers under safe conditions, rather than relying on consumers to remember to take coolers and ice. No negative impact on conventional grocery store sales (supporting data available). What can you do? Call your State Representative and ask him or her to CO-AUTHOR HB 46. If the staffer says they don’t know the Representative’s position (which is a common response), say: “I would very much appreciate it if you could call me back after talking with the Representative. This issue is very important to me and my family.” You can also offer to send them materials about the bill via email. 3. Then, call your State Senator and ask him or her to support HB 46 when it comes to the Senate.